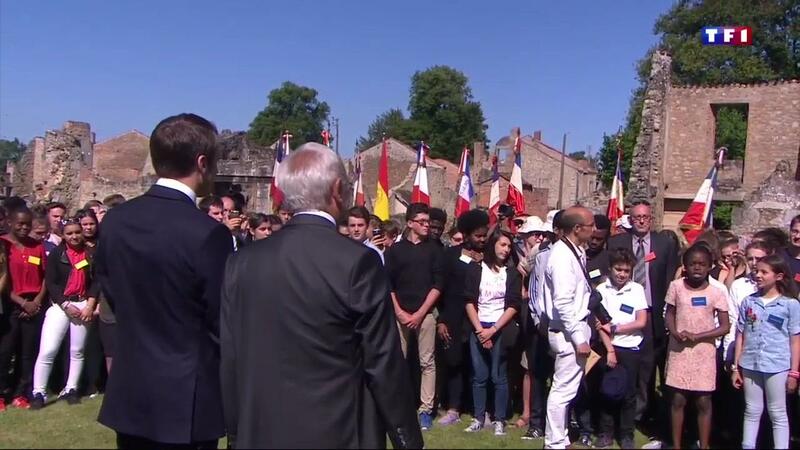 Betrayed French children, and the replacements for those French children, listen while Emmanuel Macron and his fellow employees of the Jewish power structure preen themselves and boast about how morally superior they are at Oradour. THE TRADITIONAL war-propaganda version of what happened at Oradour-sur-Glane was used at the beginning of the first episode of (Jew) Sir Jeremy Isaacs’ 1973 series The World at War, obviously because it is a story about innocent people, not even Jews, being killed for no reason. This is calculated to get the viewer to see himself as a possible victim and thus to get him personally interested in what is being said.I can tell you that it was effective too, because I remembered this sequence, pondering over how it could be possible, for decades after seeing it. Down this road, on a summer day in 1944, the soldiers came. Nobody lives here now. They stayed only a few hours. When they had gone, the community, which had lived for a thousand years, was dead. This is Oradour-sur-Glane, in France. The day the soldiers came, the people were gathered together. The men were taken to garages and barns, the women and children were led down this road, and they were driven — into this church. Here, they heard the firing as their men were shot. Then, they were killed too. A few weeks later, many of those who had done the killing were themselves dead, in battle. They never rebuilt Oradour. Its ruins are a memorial. Its martyrdom stands for thousands upon thousands of other martyrdoms in Poland, in Russia, in Burma, in China, in a World at War. A skeptical viewer would have to wonder about this story. Why would the Germans bother to do such a thing? You have to believe in evil for its own sake, and that the Waffen-SS embodied this evil, to accept such a story at face-value.People tend however to believe what they are told, even when it seems incredible, if they have no other information. For decades the vast majority simply believed what television presented on such matters because no other information was conveniently available. Today, through the White Man’s invention, Internet, other information is instantly available. On June 9, 2004, the appeal court in Limoges sentenced me to two years in prison (whereof 18 months on probation) and a fine of 3000 Euro for the crime of ” approving a war crime” . It also declared the confiscation of parts of my archive, which was seized in 2001, to be lawful. The reason for this sentence was my research into the SS ” massacre” in the French village of Oradour 60 years ago. It all began in 1989, when I spoke with a friend about the Waffen-SS and he told me that the official history of ” the Oradour massacre” was being questioned by a number of people. At that point I still believed “as almost all French do” in the official historical version. I believed that members of the Waffen-SS on June 10, 1944, had destroyed the village of Oradour and annihilated its inhabitants. I also believed that they had burned several hundreds of women and children alive in the local church. In the case of Oradour we are not dealing with a few dozen dead, but with the cold-blooded murder of 642 people, whereof about 500 defenseless women, children, and infants. Faced with such a dire allegation and harboring doubts about it, it is completely reasonable if one visits the site of the crime in order to observe with one’s own eyes that which is held as fact. I am not a historian. My background is that of a chemical engineer and a teacher of natural science. Therefore I have not studied Oradour with the approach normally taken. It is a fact that French writers when dealing with the Waffen-SS first explicate on the German theories of total war, then talk of “the crimes of the SS” in Russia, Czechoslovakia, and elsewhere; then follows the German occupation of France and the general activities of the Waffen-SS in their fight against the Resistance. The Oradour massacre is dealt with only after that. For these tendentious writers the guilt of the Waffen-SS is self-evident. This is why since 1947 the officially disseminated version is the only one to be heard. I for my part have utilized the traditional working method of the criminal police, in which the physical evidence is examined without prejudice. I forgot all of what I had heard and went to the site of the tragedy with its remaining ruins. Furthermore I studied all historical photographs (especially those of the corpses) which I could get hold of. Only after that did I concern myself with eyewitness statements. 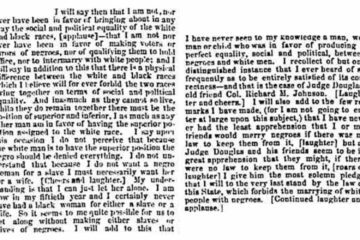 In regards to the corpses it can be stated that there are significant differences to be seen between those of the men on the one hand, and those of the women and the children on the other. The corpses of the men were (bare a few exceptions) complete but charred, while their clothes, still on, had been incinerated. They looked like typical victims of a fire. In contrast the corpses of the women and children were torn to pieces, so that one could only speak of body parts: here a torso, a pelvis with legs attached, there an arm, a hand, a head. Many of the body parts were covered with pieces of cloth which had not been burnt. As far as the head could be found, one was able to recognize the facial characteristics of the victim. They looked like typical victims of an explosion. The ruins of the church confirmed my assumptions. They were reminiscent of those of other churches that had been the targets of bombardment. Typical for such ruins are the torn-off roofs caused by an explosion, as well as the absence of scorch marks around the many openings of the building (windows and doors). In the case of an intense fire one will always find traces of soot around these. In the church’s interior I found even more indications contradicting the official fire theory: a thin-walled brass globe, which formerly had sat mounted on the roof of the church tower had not melted. 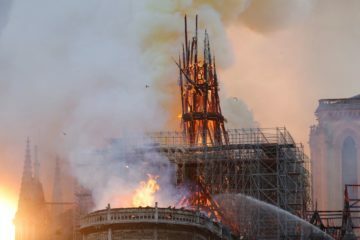 According to the official theory the collapse of the roof had been caused by an intense fire on the inside of the tower. How could the brass globe have withstood the flames? The brass globe was intact but buckled, indicating that it had been thrown through the air. The two church bells showed only superficial signs of melting, and that only in places. The writing engraved on them was still partially readable. If there had really been a long-lasting and intense fire in the church tower the bells would have melted into a uniform mass of bronze. In reality the destructive event must have lasted only briefly, so that the heat did not penetrate into the core of the metal. On the ground floor of the church there are objects made of wood, for example a confession booth. If allegedly an intense fire had incinerated 500 women and children, how come then that wooden objects survived the flames? Still today one finds at the altar the silk flowers described by Pierre Poitevin only a few hours after the drama took place. How could fragile objects made of textile withstand the flames of a drawn-out fire? The physical evidence thus allows us to draw the conclusion, that a brief destructive event took place in the church, rather than a long-lasting fire. This appears to confirm the hypothesis of an explosion or a series of explosions. With this work done I commenced with the study of the witness statements. My attention was immediately drawn to Mrs. Rouffanche, who is portrayed as the single survivor of the events in the church. She left several witness accounts between 1944 and 1947, and also appeared as a witness before the war crime trial in Bordeaux in 1953. A comparison of her witness statements soon brought me to the conclusion, that Mrs. Rouffanche was a false witness who made absurd statements. For example, she spoke of an ominous ” crate” which burned without flames and which had flown through the air without an explosion. When questioned for the first time in June 1944 by members of the Resistance group of Pierre Poitevin, she spoke of a ” smoke-generating crate” which the Waffen-SS had brought into the church, specifying further: ” No one dared to go near the crate, but it did not explode.” On the other hand she stated on November 20, 1944, that ” the apparatus was set on fire and a violent explosion shook its interior” (From: ” The Archives of the Examining Committee for Enemy Crimes in France” ). In 1947 she declared before the military tribunal in Bordeaux: ” From the crate which had been brought into the church emanated a thick and suffocating smoke with no visible flames.” One is therefore to believe, that the mysterious crate burned without flames, and that an explosion took place inside of it without itself exploding. In any case Mrs. Rouffanche stated that she had escaped the flames by jumping through a church window. This means that she must have jumped four meters down to a 4.5 meter long steep precipice, at which end an approximately one meter wide wall is to be found. From this narrow piece of wall she had a further 2.5 meters down to the waiting members of the Waffen-SS. All this accomplished by Mrs. Rouffanche without hurting herself, despite being 47 years old at the time. After she had gotten up on her feet she managed to escape, even though an SS man posted below the window opened fire at her and hit her with five bullets in the legs. Those contradictory and fantastic statements were enough to convince me that Mrs. Rouffanche was a liar. Mr. Palier, an engineer working for the French national railway company SNCF who visited the church the day after the events, writes: ” It appears that the women and children suffered a fate different from that of the men, since in the church one has found corpses of people who had met their fate in a ” normal condition” . These statements confirmed my initial conclusions which I had drawn on the basis of the physical evidence. The church had been destroyed through explosions, which had also killed the women and children. This analysis was corroborated by the testimony of survivors as well as unpublished documents. In August 1990 I met with Mr. Renaud. He told me how he had witnessed the church tower being destroyed by a large explosion. The explosion was so intense that the roof flew off and that Mr. Renaud felt the shockwave. Mr. Beaubreuil on his part confirmed that the machine gun firing started in the village after a powerful explosion was heard from the direction of the church. His witness statement is of special interest, since on the day in question he was hiding in the house of his aunt, which was located in the immediate vicinity of the church. Today both of these witnesses deny that they have ever known or met me. In this they are lying. I have met both of them and summarized our conversations in a small red notebook together with dates and details which I could not simply have made up. The notebook was later confiscated by French judicial authorities. If it was released by them it would be clear who is lying! With the assistance of a legal attorney I was able to study the stenographic notes taken during the proceedings of the war crime trial in Bordeaux. I could ascertain that not only the defendants (Fernand Giedinger, Henri Weber, et al..) but also the witnesses of the prosecution (i.e. the survivors) confirmed that the church had exploded. Mrs. Renaud for example stated: ” There was a big explosion in the church.” Her husband, whom I got to know in 1990, told the court: ” The only screams I heard started when the church exploded.” Mr. Petit was one of those who had entered the church shortly after the tragedy. In Bordeaux he stated: ” It was a terrible sight. There were no whole bodies. Some had been torn in two.” All these witness statements agree that the church was shook by a series of powerful explosions, of which at least one took place in the church tower. Besides inducing the visible damage to the building the explosions caused the death of many of the women and children in the church and triggered the shootings in the village. This account is, as one soon realizes, completely absurd. If one had really wanted to kill women and children, one would not have locked them inside a thick-walled church. Rather one would have machine-gunned them in small groups. But there is another important aspect to this: If the official account were true, then the women and the children must have heard an explosion prior to the arrival of the “crate.” But in her statements from 1944 the main witness Mrs. Rouffanche nowhere mentions an explosion. In 1947 she even stated the following: ” During the time while I was in the church I did not hear or see any explosion.” Here official historiography contradicts itself once again. The gist of its reasoning seems to be: an explosion for which the Waffen-SS can be held accountable is fine, but once the story gets too absurd, there better were no explosion! For me there was hence only one conclusion to be drawn: the mysterious explosions, of which one took place in the church tower, were not the work of Waffen-SS! They had a different origin, which in turn the champions of the official version had managed to conceal already by 1944. The most likely conjecture is that a partisan ammunition depot was located in the church, and that on June 10 this depot exploded with tragic consequences. The reasons for this remain to be clarified. This theory of course contradicts the official version, which portrays Oradour as a peace-loving village located in a region completely free of partisans. The advocates of the official theory do not want people to consider seriously the factual causes behind the destruction of the church. Why would the Resistance not have used a large village by the side of the main transport routes for their purposes? After all, we know of several cases from France and Belgium in which church buildings were used by partisans as hiding places for large amounts of ammunition. In the 90s I began to look closer at partisan activities and soon found out that some of the Oradour villagers had connections to the Resistance: Maurice Beaubreuil was a member of a partisan group, his friend Mathieu Borie belonged to FTP, the communist resistance movement. Paul Doutre was a partisan supporter; M. Dupic was a member of the ” Secret Army” (a right-wing oriented group of partisans). Paul Doire supplied local partisans with bread. But there were even more examples: through studying the Haute-Vienne Department Archive I learned that partisans had been active in Oradour on a regular basis, doing such things as stealing cigarettes and gasoline. (Cf. the report of Subprefect Guy Pauchou, which I quote in my book. Despite this the same Pauchou maintained in 1945 that Oradour had been a perfectly peaceful village.) Aside from this the 643rd division of foreign workers was accommodated in Oradour. This consisted mainly of Spaniards who had fled from Franco’s rule. For the partisans these antifascists made up a source of potential recruits. This is certainly the reason why the presence of these foreign workers has escaped official consideration. In 1996 I found out that a former RAF pilot by the name Len Cotton at the end of 1942 had been shot down in the vicinity of Confolens. In writing he told me, that the crew of his plane had been taken custody by the Resistance in order to prevent them from falling into German hands. For three days they were hidden in Oradour-sur-Glane, and that in the sacristy of the church, with the full knowledge of the local priest. The feeding of the air men was taken care of by the daughter of the already mentioned Mrs. Rouffanche, who as a member of the Resistance went under the alias Danielle. Over the telephone Len Cotton declared to me that Oradour had been a major base for the Resistance. These witness statements I published already seven years ago. As of yet there has been no comments on this from the spokespeople of the official version. The above would explain why Mrs. Rouffanche without hesitating became a false witness for the Resistance. With her implausible story of the “crate” and the nearly miraculous jump from the church window she managed to put all the blame on the Waffen-SS, while the Resistance was cleared of all responsibility. In this way Mrs. Rouffanche continued her daughter’s struggle. H. Kämpfe, who on the previous day had been brought as a prisoner to the area by a partisan group under the leadership of Jean Canou. The initial impressions indicated that the captured man still was present in Oradour. The men of the village were then separated from the women and children, while the latter were brought to the church for security reasons. Thereupon the men were taken in small groups and locked inside the barns, so that they could be guarded by a smaller number of soldiers. The Waffen-SS searched the houses, discovering numerous weapons as well as ammunition. There was then a large explosion in the church which tore the women and children therein to pieces. The SS guards believed that they were under attack and so opened fire on the men in the barns. The French have always rebutted this German version with their claim of peaceful village. This is a poor attempt to portray themselves as innocent or at least to justify themselves. But let us assume for a moment, that the Waffen-SS really acted “by evil habit” as they are alleged to have done. If they had sought to terrorize and demoralize the population, the Waffen-SS would scarcely have looked for excuses. Rather they would have declared with demonical pride that they were not to be made fools of. In this case there would have been not one Oradour, but ten, twenty, fifty. When all is said and done, no-one disputes that the Waffen-SS in Oradour had the men separated from the women and children, or that they for negotiation purposes demanded hostages from Geiseln, the village elder. It is likewise uncontested that the Waffen-SS thereafter searched the houses. But why did they waste all this time, if they had only come to the village to slaughter its inhabitants? Ultimately, the Germans were in a hurry on their way to the battle zone in Normandie. It should not be forgotten that on the previous day in Tulle the Waffen-SS had the perfect opportunity to justify bloody reprisals as an answer to partisan activity and ” senseless terror.” In this village one had found 40 terribly mutilated corpses of German soldiers killed by the Resistance. The Germans could have displayed the bodies of their fallen soldiers while putting on a massacre of the men, women and children of Oradour. But this did not happen. In Tulle the Waffen-SS, in accordance with their own regulations, let the women and children get away unharmed, while 99 out of a total of 1200 captured men were hanged. The fact that the Waffen-SS separated the men from the women and children in Oradour is proof that they did not intend the annihilation of the whole village. On the basis of this I assume that what transpired in Oradour was a police action which unintentionally ended in a tragedy. The task of the Waffen-SS was to search the village for the German soldier H. Kämpfe and to destroy the base of the partisans. While the operation was carried out the women and children were sent to the church. The mistake of the German commanders consisted of not searching through the “holy place” properly. But why then did the explosion in the ammunition storage which killed so many people take place? As long as access to the trial archive is prohibited (and it will not be opened until 2053!) we are left to speculations. All of the above has been discussed in detail in a nearly 450-page book which was published in Belgium in 1997 under the title Le Massacre d’Oradour. It was later translated into German as Die Wahrheit über Oradour and published by the Druffel-Verlag. In its foreword I wrote at the time: “When critics invite us to an honest discussion, we will gladly accept.” I was thus already then prepared to debate my theories. If the exponents of the official version really were sure of their thing they would have had no problem in disproving me in an open debate. The best way to do this would have been through a reply to my book. This opportunity was however never seized by my opponents. Instead of debating me, they preferred using brutal censorship. My book was published in 1997, at a time when I had just been barred from teaching in France due to my ” revisionism.” In the Limousin region an intensive media campaign was immediately launched against me. I was subjected to massive slander, dragged through the mud and called a liar and a falsifier. Naturally not a single journalist interviewed me, and not a single of my replies to the allegations were ever published. Only my opponents were allowed to speak. Parallel to this, official efforts were made in the Limousin region to have my book banned as soon as possible. As expected this led to quick results, and already in September 1997 sales and dissemination of the book were banned in the whole of France by decree of the then minister of interior affairs, Jean Pierre Chev nement. From 1998 to 1999 a small group of activists worked on a video tape summarizing the main arguments of my book. The film was finished at the end of 2000 and sales began in January 2001. Also in this case the response of the authorities was quick. On February 8, 2001 the Prefect of the Department of Haute-Vienne issued a decree which banned the video tape in all parts of the district. The custodians of the official historical version wanted to indict me for “denial of a war crime” . Since no corresponding law exists in France, the authorities made a turnaround and changed this to “approval of a war crime” — as if I could approve of something, the reality of which I had put into question! A criminal indictment was then opened against me by the judiciary. On May 16, 2001 my apartment in Brussels was searched in my absence by Belgian police officers, operating by the direction of French authorities. They confiscated about 60 boxes of books, assorted papers, notes and copies. At the same time my publisher’s apartment and office in Antwerp were being searched. Ordering forms for my video tape had been mailed anonymously to people in the Limousin region. The judiciary ordered an analysis of the handwriting found on the envelopes and a DNA analysis for the residues of saliva found on the post stamps. The sender of the order forms was also discovered; it proved to be a friend of mine from the Limousin region who believed that he was helping the cause. In June 2001 Judge Christine Fourel saw that my passport was revoked. I was prohibited from upholding myself in the Department of Haute-Vienne, as well as obligated to inform the judiciary every time I left my apartment for more than three days. On September 27, 2001, four years after my book was banned in France, the French minister of interior affairs signed an enactment which banned also the video tape in the entire of France. To accomplish this one found support in a law from June 17, 1998, designed for “the protection of minors and the fight against sexual crime”! In the meantime the legal negotiations continued. They lasted two years. In the end my case was treated as “approval of a war crime.” The trial in the Court of First Instance took place on November 18, 2003. The way it was conducted can only be described as scandalous. The presiding judge refused a showing of my video tape to the court. By continually interrupting me he also ensured that I could not defend myself. On December 12 the verdict was given, and I was sentenced to one year in prison, whereof nine months on probation, for the crime of “approval.” In addition to this I would have to pay a fine of 10,000 Euro. The confiscation of my research material was confirmed as being lawful. The appeal trial took place on April 14, 2004. This time the court’s approach was somewhat more correct. But although I could defend myself, my arguments were as ignored as before. The verdict was pronounced on June 9, 2004, that is, on the day before the 60th anniversary of the tragedy in Oradour. In many parts the court maintained word for word the verdict of the First Instance Court, whereas the sentence itself was made harsher. At the demand of the state prosecutor the judge sentenced me to two years in prison, whereof 18 months on probation. On the other hand my fine was reduced to 3000 Euro, a sum which was to be paid to the three civilian parties of the trial (Marcel Durthout, a survivor of the tragedy, ” The International League against Racism and Anti-Semitism” and ” Friends of the Society for the Commemoration of the Deportation” ). The confiscation of my material was again declared to be lawful. With little hope of success I have filed a not guilty appeal. The town was kept as it had been left, to display the atrocities it had endured during the fire in 1944. I think it was purposely left this way for the real murderers and setters of the the fire, so they can keep it as a memento of their acts. There were German towns burned to the ground caused by the British bombs. The only survivors, strangely, were judens, who, in their own words, hid in sewers and other places to evade the attack. When the smoke cleared they crawled out, unscathed. The goal of the allies was the destruction of Germany. “You must understand that this war is not against Hitler or National Socialism, but against the strength of the German people, which is to be smashed once and for all, regardless whether it is in the hands of Hitler or a Jesuit priest.” – Winston Churchill, 1940. If that means blaming the German army of absolute atrocities so be it, it had to be done in the name of the World Jewry. Enough is enough.